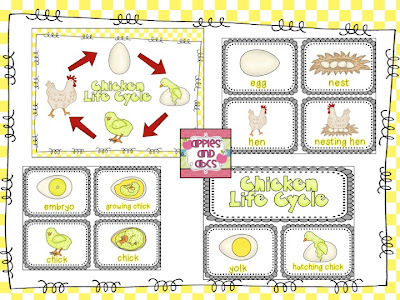 I am all about the life cycle units this month! 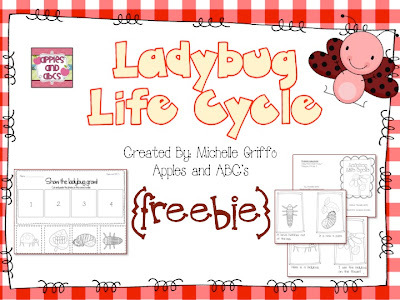 I made a little freebie of the Ladybug Life Cycle to share with you! 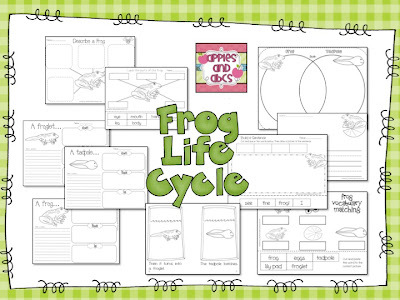 It comes with an emergent reader and a cut and paste activity, to order the stages of the ladybug life cycle. Click on the image below to head over to my TpT Store for a free copy! Thank you! I'll be getting to school early tomorrow to get this run off for my class!! Life cycle of a ladybug sounds better than the mealworms we had in sixth grade! Ick! Thanks!! I can use the activity sheet and book... I'm also thinking I can make print the book, color the pictures and make sequence cards or maybe matching cards for kids to play with in Centers! Thanks so much. I am having fun looking at your stuff. Cute, but tasteful. Thank you so much for this awesome freebie!!! :-) It is just what I was lookind for! !